While content marketing can evoke various meanings, depending on the context, it is defined as gently marketing products and services with content shared through blog posts, videos, social media and more. Since there are an increasing number of online publishers, the competition is fierce in terms of attracting consumers’ short attention spans. In addition, publishers are driving innovation as they seek fresh methods for bringing in their target audiences. As a result, it is critical for publishers to have a deep understanding of where the industry is moving and why. The objective is to monitor your competition and the industry. If you don’t know where or how the content marketing industry is moving, you won’t grasp how and when to change your own content marketing strategy. To get you started in the right direction, we have curated 30 marketing stats to help guide your new strategy and to use when presenting a case to CFOs, CMOs and CEOs for an updated budget. Continue reading to learn more. While content marketers want to understand their ROI, many don’t have the right tools to accurately do so. In fact, 52% of B2B content marketers find ROI measurements one of their biggest challenges. This eMarketer study shows that 6 out 10 small businesses can’t track ROI from their social media efforts. Yet, accurate measurement leads to successful content marketing. You also want to gain an understanding of the proper keyword density for SEO. Content marketing is a universal tactic, with a wide variety of platforms, for offering relevant outreach to target audiences. Of course, you can’t appeal to your C-suite executives without a documented strategy or statistics to support your request for a budget increase. Since 2009, marketing budgets have either remained consistent or have gone up relative to previous years. Educational content can be expensive, but brands must continue to act as data portals to keep their customers informed and to become trusted advisors. These are articles longer than 2,000 words. Since long-form posts are more in-depth, the target reader perceives them as more valuable and worth their time. In addition, search engines worship long-form content–pieces with over 20,000 keywords. Moreover, if you can hold a reader’s attention for more than three minutes, then you have a higher chance of that visitor returning to your website. The last thing you want is to get devalued by Google. The consumer attention span is getting increasingly shorter. So, content needs to be easily digestible and relevant to the target persona. Structuring should include italics, bolding and bullet points to highlight the most important sections. Remember, you’re dealing with attention spans shorter than even a goldfish. This is mainly due to the trend towards mobile content viewing. Consumers grab their smartphones to look something up, buy products and more–then, the ease and convenience starts to become a priority. Still, it’s not impossible to achieve content marketing success under these types of conditions. The trick is to instantly provide relevance and capture the attention of your target audience–give them what they want immediately. To reap the rewards, you must put in the effort. The leads will start to pour in, but only if you are consistent. 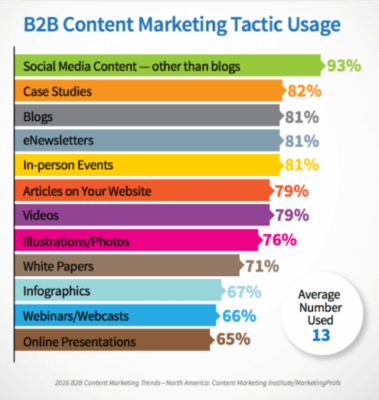 Putting more resources and effort into content marketing will increase leads while also decreasing costs. Audiences are gravitating away from celebrity endorsements and aggressive sales tactics. Instead, the modern consumer wants more transparency and friendlier branding tactics. Even with an increased focus on visuals, most marketers have found original written content to product the best results. This is great news because if you don’t have time to create media, you can still generate traffic with original content. And, flashy visuals can be expensive. So, just continue creating relevant and original content, and the traffic will come. With fewer consumers reading traditional magazines and newspapers, more focus is being placed on web content. While branded content is not a new concept, it is certainly trending. Customers enjoy the informative and interactive aspect. Branded content puts people first and the product second. Not to mention, branded content is shareable, which equates to the potential for more traffic. To reach the next level of content marketing productivity, help is required in the form of skilled and proficient writers. If you plan to reach thousands of readers, or more, you should not try to write the content all by yourself. Since you already understand that consistent, original and relevant content increases traffic, then you can easily double that just by hiring several skilled writers. There is no reason to try to spend 16 hours a day writing when you can focus on other aspects of your content marketing strategy. Let your writers handle this facet of it for you. It is imperative to write with your buyer persona in mind. Each piece of content must be relevant and with an end goal. Start with figuring out who your target consumers are. These are general representations of your target audience. With buyer personas, you can tailor your content to topics they would love to learn more about. Furthermore, your content should address customer pain points throughout their purchase journey. 20 percent of searches on Android devices and Google’s mobile app are voice searches. (Source: SearchEngineLand). Voice searches are on the rise. So, content marketers must consider the types of headlines and titles that might be included in a voice search. There isn’t any question that voice search will affect content marketing. The use of voice search tools, such as Siri and Alexa, are on the rise. Most smartphone’s also have a voice assistant. It’s not something to worry about, but you should think of how people use their voice to search for something and what they expect to find. For instance, a voice query might ask: “How many times have the Eagles won the Super Bowl.” If the same person were to type that query, they might type this instead: “Times the Eagles won the Super Bowl.” As you can see, voice queries are a bit more detailed–it is just like talking versus texting. Content marketers must direct more company spend and efforts towards the mobile medium as this is where their audiences are. 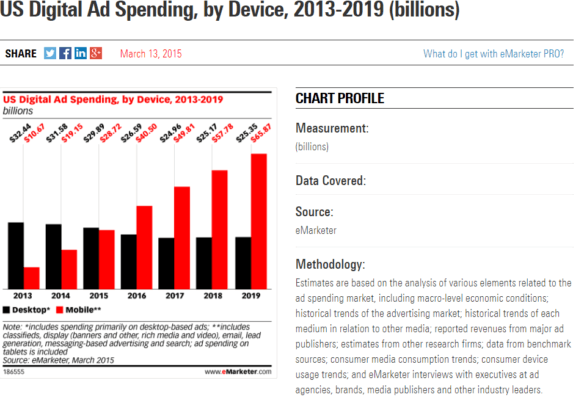 Mobile ad spend must also go up. According to Google research, over 50 percent of all global web traffic comes from mobile devices. And, these types of numbers will continue to increase. So, now is the time to focus on mobile content marketing. In fact, mobile device content reading went up 10 percent in 2014. The limits have been removed; anything can be read and viewed on a mobile device. Social media platforms like Pinterest, LinkedIn, Twitter, Instagram and Facebook have changed the content marketing industry forever. The way we communicate with customers is a lot different from how we interacted even a decade ago. Social media networks are popular because they are free to join, and you can reach millions of people with your content. So, mix things up. Consider how to target different generations on social media. Make sure your content meets the needs of your target audience. And, engage with your customers directly through social media. It is 2018, and you need an integrated marketing strategy right now. Content marketing works, and 80 percent of decision makers prefer to get their brand information through written articles as opposed to advertising. You can start by learning how to be a better content writer. You just won’t want to jump into content marketing without a documented strategy. When you think about how you distribute your content–through social media, blog posts, guides and more– then, you must remember the importance of having similarities with your content. You don’t want to confuse your audience. And, it’s easy to be all over the place when you don’t have a strategy to direct your efforts. Also, a documented content marketing strategy is conducive towards achieving a strong brand identity. Consumers are saturated with content. To stand out from the masses, you need a strategy to set your brand apart. As mentioned earlier, measuring ROI can lead to content marketing success. With a strategy, you encourage productivity and efficiency. Plus, it can help to ensure a better ROI. Before a purchase, consumers often go through a sales funnel. These are stages that the prospect goes through before making their final purchase. To illustrate, the first step might be checking out your site for the first time. The next step might be subscribing to your newsletter. The third step might be talking to one of your sales reps and so on. The term “sales funnel,” and its accompanying definition, has been around for decades. All your prospects will be at different points in the funnel. What would you write to enhance awareness at the beginning of the funnel? How can you help inform your prospects of your products and services while they are in the middle of the funnel and evaluating their options? What types of content would motivate your prospects to buy when they are finally ready to make a purchase? Depending on your products and services, the sales funnel process could move either very quickly or relatively slowly. With a B2C customer, the process might be quick. With a B2B customer, they might require more nurturing in the form of articles, guides, whitepapers and more. Take a look at this review of the top seven toolbars. Organic marketing is about getting customers to your site naturally. This can be a long process, but it also leads to better customer engagement, loyalty and traffic. Consumers are much more savvy and rarely pay attention to paid ads. While you won’t be spending on paid ads, organic marketing still requires effort as it is a form of marketing from the ground up. It requires careful attention to your content and social media channels. Furthermore, you must incorporate more accurate SEO. Instead of paying for sponsored results, organic marketing depends on search engine optimization. When it comes to search ads, the average click-through-rate is lower than 5 percent. On the other hand, the average CTR for organic marketing results can vary between 22 and 30 percent. Humans are visually wired. As a result, we demand infographics. This can be especially true in an age of information overload. Today, we receive five times more information than we did in 1986. And, the brain needs time to digest every bit of information we consume. With an infographic, your business can present data in a way that is visually stimulating and easy to digest. Infographics also induce a lot of social sharing–especially if it is a beautiful infographic with a great design. You can use infographics to convey specific types of information. They can also drive targeted traffic to your site. So, if you don’t have a contract with a graphic designer, now is the time to start one. Gamification is the use of games, surveys, puzzles, quizzes and more to encourage user interaction. When you incorporate interactive content, you can increase time spent on your site. 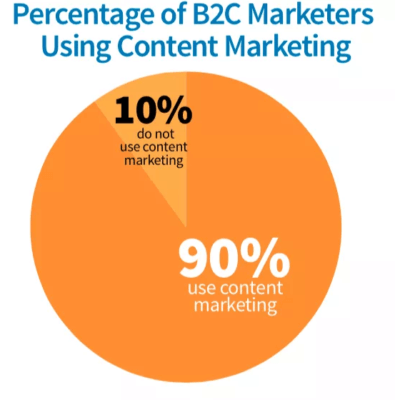 Also, it helps to break up your content marketing strategy from having strictly content. Consumers want a variety of choices for how they consume their content. Yet, only 10 percent of marketers incorporate gamification. The reason for a limited number of marketers using gamification might be due to the cost and resources required. 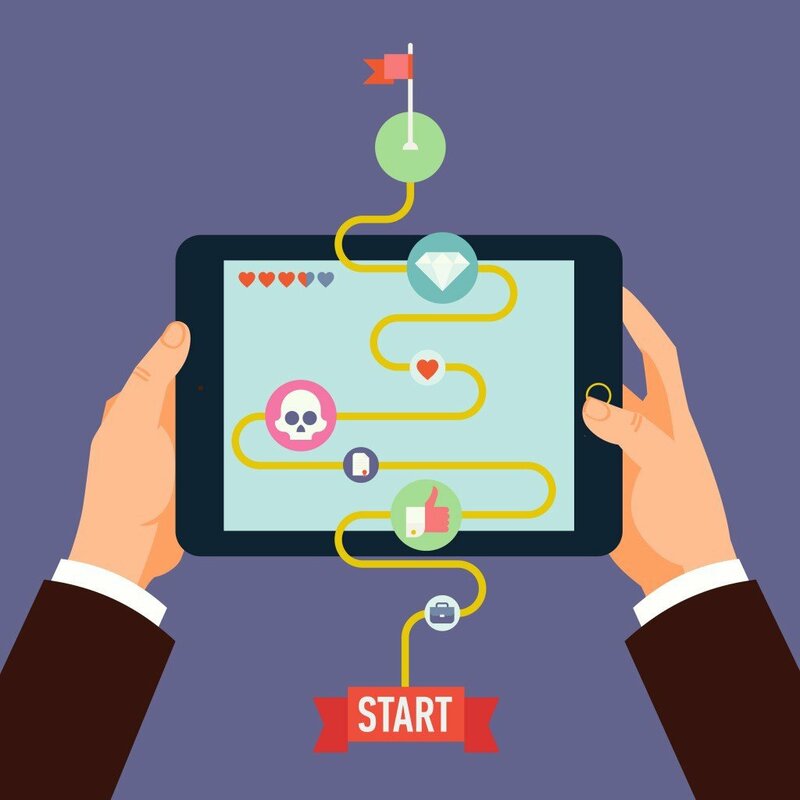 If you have the ability, it can improve traffic when you invest in gamification. This isn’t just about running contests periodically. The objective should be to foster motivational campaigns that takes your target buyer on an interactive journey. And, this starts by having a pre-determined goal in mind. If you are interested in maximizing revenue, then how can a customized game contribute toward achieving that goal? Consumers are already busy, so you want a strategic method that they will find worthy of their time. Then, you must consider your metrics. How can you tell if your games are working? You must set up metrics to determine gamification success. Customers enjoy the instant gratification aspect of gamified elements such as badges, leaderboards, points and even rewards they can use for real products and services. People are also motivated by a need to accomplish goals. So, your games can set specific and achievable targets to build on that momentum. Also, since consumers are now more involved in the process, they are also more likely to remember the content. For instance, say they can accumulate points through your game that they can use for discounts and special offers. So, perhaps one of your “goals” would be to have them read content and answer a short quiz. Once they have completed that successfully, they get more points. As opposed to direct advertising, content marketing can truly build trust with your target audience–and, once you have achieved that, you have struck gold. You are conveying the story of your brand in a way that is non-salesly. Since hundreds of posts are created every minute, it is critical to remember how you can stand out. It really boils down to creating content that builds trust with your buyer persona. When a consumer trusts your company, they are more likely to continue visiting your site and engaging with your content. If you follow the above suggestions, your site will earn trust and a loyal following too. There isn’t anything wrong with increasing your company’s brand awareness through sending out direct mail pieces and PR kits. Yet, for a long-term marketing strategy, content marketing is your best bet. With a direct mail piece, you might convert a few prospects. Consequently, once your direct mail piece is sent out–it often gets thrown away. In addition, you’ll have to change the design frequently just to garner a bit of excitement. If you are getting a good ROI, then there isn’t anything particularly wrong with this marketing approach. The same is true of PR kits. But, in the long-term, content marketing is a powerhouse. With consistent content marketing, you increase your domain authority (DA) and online real estate. The more articles you have, the better your chances are of being found online. Plus, it builds trust when you have a long-standing blog. Also, by linking your pieces to other blog posts on your site, you can continually attract new traffic. If you have high-quality content, then it can improve conversions–especially with the right CTAs. And, you can increase revenue by selling eBooks. With content marketing, you compound on returns. 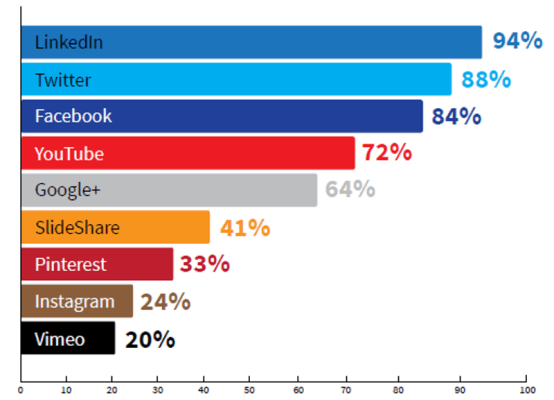 In terms of content distribution, LinkedIn is the place to be. It really does pay to produce relevant content on LinkedIn. Taking the time and commitment to post content on LinkedIn does pay off–whether they be trends, quick tips or guides based on your field of expertise. You can easily share your blog posts with all your connections. Plus, the posts become connected to your profile. When people search for your profile, they see your blog posts. Also, you can increase your influence since public posts allow LinkedIn users to follow you. When you amass a series of relevant posts, you can also quickly accumulate a large following. And, with each publication, all your connections receive a notification through their flag icon. There isn’t anything that can level the playing field like content marketing. Both small and enterprise businesses can utilize content marketing to increase traffic, engagement and brand awareness. This subtle marketing approach keeps your visitors informed without being too pushy. When visitors realize they don’t have to endure a hard sell, then they will want to buy your products and services that are relevant to their needs and wants. 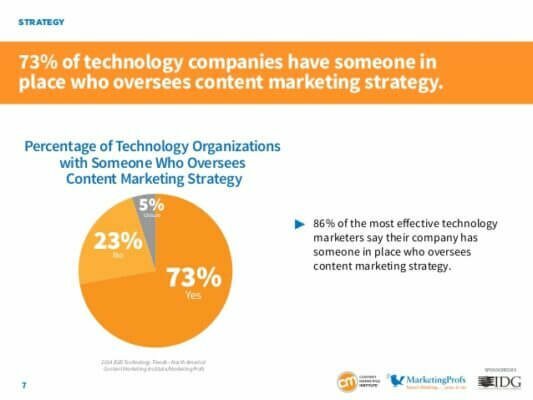 This is why 90 percent of companies used content marketing in 2016, and that number will only go up. The long-term benefits can’t be ignored. For example, once your page is ranked well in the search engines, it stays there for an extended period. Plus, around 70 to 80 percent of web users ignore paid ads. Instead, content marketing can be used to promote your products without being overly aggressive. 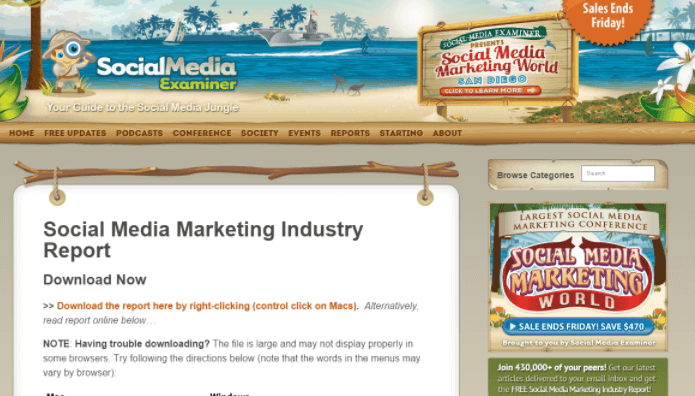 In terms of marketing, it is important to know what not to do when curating content. You also need to understand how content marketing can affect conversion rates. With more pages, you get more opportunities. Each piece of content is a new page. And, search engines can then easily index your pages. Moreover, websites with over 40 unique pages get 12 times more leads than sites with five or fewer pages. And, with your buyer personas, you can tailor your content to ensure your customers are five times more likely to convert. With the right content marketing strategy, you can effectively guide and motivate your buyers throughout the sales funnel. Prescriptive content helps target readers to optimize their processes by offering strategic suggestions. Furthermore, prescriptive content can be used to predict outcomes through incorporating specific data points and metrics. An example of prescriptive content might be a guide on trends to pay attention to in 2018. Additionally, prescriptive content answers questions that prospective buyers have like the ROI for investing in a cloud storage solution or how to implement a new ERP system. There was a time when a 500-word blog post was all your site needed to get ranked on various search engines like Google and Bing. Well, those days have disappeared in the ether of history. Since 90 percent of businesses are using content marketing, on top of all the other blog sites and media sites found online, the space for first-page rankings is insanely competitive. So, Google now looks for length in terms of filtering for quality. And, according to SerpIQ, top ranked content usually has around 2,400 words. What’s the takeaway? For starters, you must increase the word count of your content. At a minimum, make your posts 1,200 words. 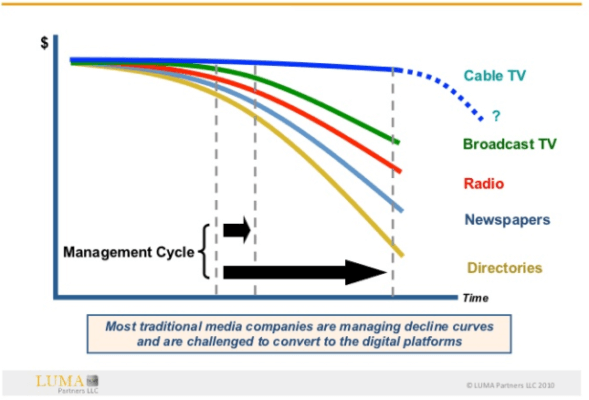 CMOs understand they must grow and evolve to stay ahead of the competition and above all the social media noise. To do so, you must segment your audiences by demographics, their point in the sales funnel, their budget and more. Custom content is a type of hyper-personalization of content. It takes a deep understanding of your target buyer and where they are in their purchasing process. It also requires an understanding of their pain points, along with what makes them tick. You can learn more about your target customers by spending time in forums and on social media where they are sharing with their counterparts. Then, create custom content with a specific persona in mind. It’s difficult to trust advertising, but it is easy to trust a brand who can offer real solutions to specific pain points. And, the case study is always written from the perspective of the buyer persona. You should publish more case studies simply because they are highly targeted. Each case study conveys a specific goal related to your products and services. Also, through factual claims, you can build your brand as an authority in your industry. You already understand the significance of blog posts. 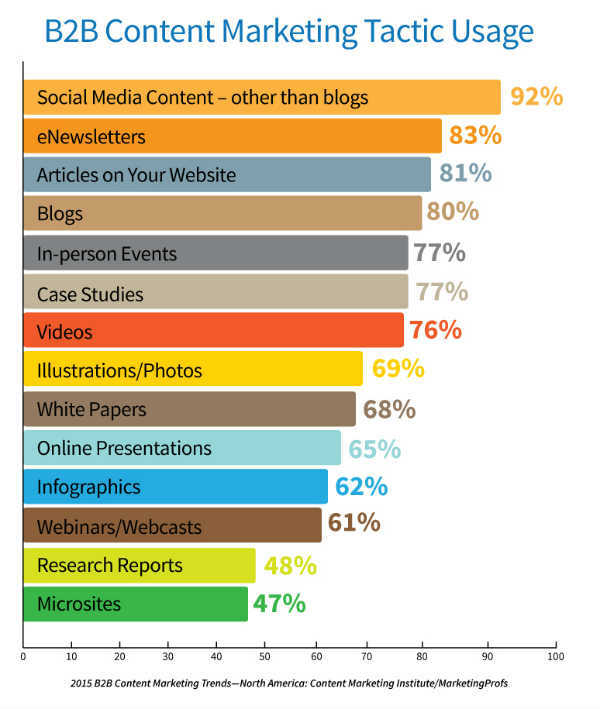 Yet, email marketing is also an important aspect of content marketing. You can generate $38 in ROI for every $1 spent. You must incorporate targeted emails within your content marketing strategy. According to Radicati, there are around 4.9 billion global email accounts. Consider how you interact with websites. Whenever you sign up for anything, you need to enter an email address. Case in point: email addresses and messages aren’t going away anytime soon. Everyone who engages with the Internet has an active email address. In addition, there are more email accounts than there are Twitter and Facebook accounts. Then, there is the fact that 90 percent of email gets delivered to your prospect’s inbox. Not to mention, Facebook continues to limit how widely your posts are distributed. You want your readers to accomplish to goal set up with each piece of your content. This happens with a call to action, where you tell your visitors exactly what you would like them to do. The best place for a call to action is at the end of your post. Also, it must be attractive to your readers. So, keep their demands in mind. It is difficult for one person to do everything a customer expects. Since you now understand how effective content marketing can be, it is time to hand over your content strategy to a content marketing specialist. This doesn’t mean you take a completely hands-off approach. Since it is your brand, you still want to be involved. But, it helps to focus on tasks that reap revenue. And, you can’t be in all places at once. Since your content represents your organization, you must be careful about who you hire as your content marketing specialist. It should be someone who understands and easily aligns with your vision. They must discover and create the types of content your target buyer wants to see. Then, they must retain and attract readers. On top of everything, their content and strategy must drive profitability and sales. We are living in the era of the “informed customer.” Prospects know they have access to information that helps them make more thoughtful decisions. Therefore, brands must then align themselves, and their content marketing strategy, with the needs and wants of their customers. To maintain a competitive edge, you must produce the type of content that serves as informative and trusted resources for your customers. This starts with understanding your customers, following their path and customizing content based on their specific personas.